TV presenter Ant McPartlin has been released from custody, following an arrest on suspicion of drink-driving on Sunday. The Saturday Night Takeaway star was involved in a collision involving three vehicles in south London yesterday (March 18). The ambulance service and London Fire Brigade also dealt with several people for minor injuries at the scene. A child passenger in one of the cars was also taken to hospital as a precaution. Police also confirmed that a 42-year-old man was arrested, after failing a roadside breathalyzer test. He was spotted arriving back home at his Chiswick in the early hours of Monday morning, following several hours of police questioning. UPDATE: Ant has now checked into a treatment facility. Saturday Night Takeaway will not air this weekend as a result. An ITV spokesman said: “ITV has taken a joint decision with Ant and Dec’s team not to broadcast Saturday Night Takeaway this weekend. "We will be reviewing options for the last two episodes of the series (March 31 and April 7) which would not feature Ant who is taking time off to seek treatment. We very much hope that he gets the help that he needs." Ant - one half of the beloved TV duo Ant & Dec - announced in January that he was divorcing his wife of 11 years, Lisa Armstrong. He also spent two months in rehab last year, after admitting an addiction to painkiller and alcohol, following a painful knee operation in 2015. 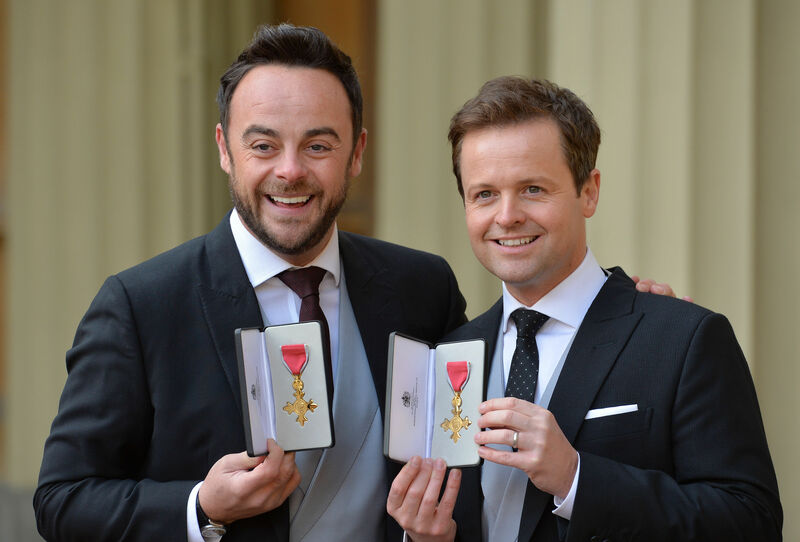 Ant & Dec recently won the 'best entertainment presenter' prize at the National Television Awards for the 17th consecutive year, and are currently in the middle of a new series of Saturday Night Takeaway on ITV.